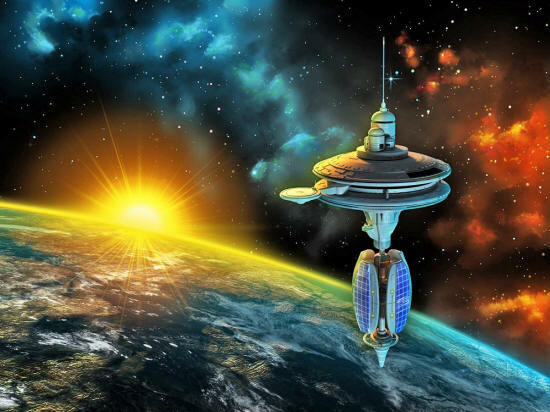 Scientists Seek UN Approval to Create Asgardia - Earth's "First Space Nation"
Asgardia's founders plan to send up a satellite in 2017 and eventually build a nation where people can live, work, and follow their own rules and regulations. While far from a reality, Asgardia does bring up questions about the legalities and logistics of space colonization. Ambitious plans to create the world's first nation in space were unveiled this week in the hopes of ushering in a new era in the space age. Igor Ashurbeyli, head of the Aerospace International Research Center (AIRC) in Vienna and chairman of UNESCO's science of space committee heads the initiative in close collaboration with a group of scientists, engineers, entrepreneurs, and legal experts. 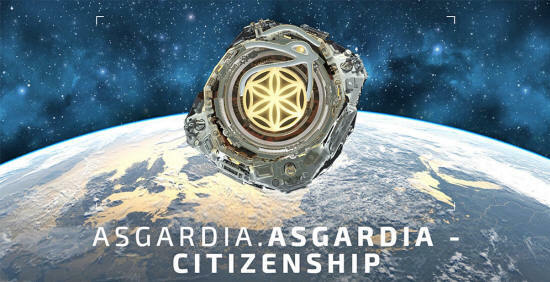 Asgardia, named after a city in Norse mythology, will essentially function as its own sovereign country where citizens can eventually live, work, and follow their own rules and regulations - that is, if everything goes according to plan. Ashurbeyli hopes to secure UN recognition for Asgardia, a nation of scientific exploration free of geopolitical restrictions, but no word yet on whether that will actually happen. "cosmic, manmade and natural threats… such as space debris, coronal mass ejections and asteroid collisions." The first step, however, is to send up its own satellite in 2017 and begin efforts to open up access to space. The project is still in its early stages, but the team behind it is hoping that the publicity it gathers now will attract talent willing to work on making Asgardia a reality. That talent can be anyone, as Asgardia has opened citizenship up for everyone on Earth, but what does being part of this nation mean? Basically, Asgardians will remain physically on Earth, but also become a citizen of this new space nation, which the founders hope will one day join the United Nations. Eventually, those citizens could travel to the space nation. "We have not seen any nation attempt this before. So this will be a first," Ram Jakhu, an Asgardia founding member, told Business Insider. "We'll start small and eventually people will be going there, and working, and having their own rules and regulations… This facility will become an independent nation." Details regarding the feasibility of this audacious plan are vague. No clarifications have been made on whether or not current space laws would allow for a country to declare itself as an autonomous, sovereign entity in space. Similarly, technical details, logistics, and funding on the project have not been detailed, but the project does bring up important questions about how space colonization should be handled in the future. Life, as we know it, resides on planet Earth. There have long been speculations that humans may have the potential to live elsewhere in the universe, but the majority of us just find ourselves fantasizing, or even shutting off from the idea because it's almost too much to handle. But with recent news that planet Mars might be able to sustain human life, and the possibility that humans may already be on Mars, it seems anything is truly possible. But there's more than just the Red Planet on our radar, plans for the "first nation state in space" have been revealed by a team of scientists and legal experts, who claim the move will allow for peace, create access to space technologies, and give citizens of Earth protection. Called "Asgardia," the team says that the "new nation" will become a member of the United Nations. It will have its own flag, anthem, and be made up of members of the public through a series of competitions. The floating nation has the potential to host 100,000 citizens. Dr. Igor Ashurbeyli of the Aerospace International Research Center revealed the plans in Paris, the same day he became chairman of UNESCO'S Science of Space committee. "flourish free from the tight restrictions of state control that currently exist." The mission behind the "nation," according to Ashurbeyli, is to serve as protectors of the Earth, and will begin by constructing a shield to guard Earth from debris, asteroids, and coronal mass ejections coming from the sun. "will offer an independent platform free from the constraint of a land-based country's laws. It will become a place it in orbit which is truly 'no man's land'." It is thought that this new nation will be made up of one satellite, which is scheduled to launch next year. "Physically the citizens of that nation state will be on Earth; they will be living in different countries on Earth, so they will be a citizen of their own country and at the same time they will be citizens of Asgardia. "When the number of those applications goes above 100,000 we can officially apply to the UN for the status of state." An online registration form is encouraging applications for citizenship. The first 100,000 that qualify will be granted an automatic in. It is still uncertain how people can become a citizen in the future, however, and a wall will be resurrected between Asgardia and Earth. "I do believe that as soon as this country becomes a part of the UN family, citizenship of that country will be really quite prestigious."